Blue skies, the leaves changing color from green to vibrant different hues of yellow, red, orange and some pink, crisp evenings.. all the makings of fall! We’re still getting a few days on the warmer side here in Washington State but the temps are dropping in the evenings. We should be seeing snow on the mountain tops soon! 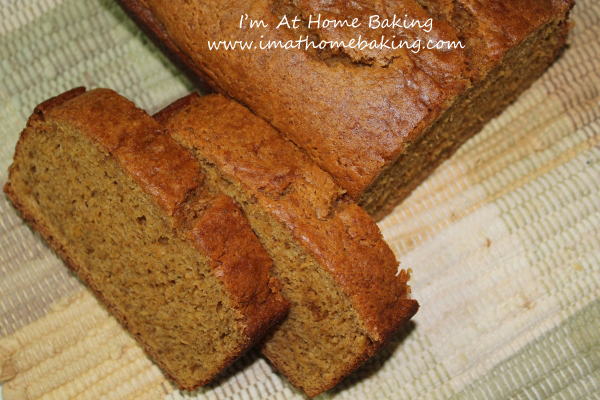 There is just something warm, cozy and so inviting about pulling out fresh, hot pumpkin bread from the oven. It reminds me of home, family, chilly walks, apple picking. Over the years I’ve tried my share of different recipes. Some amazing and some just complete flops, could be user error or recipe or a combination of both. My go-to recipe is one I grew up with. My mother making it, her mother as well. I grew up in Rhode Island, moved to Maine when I was 10. 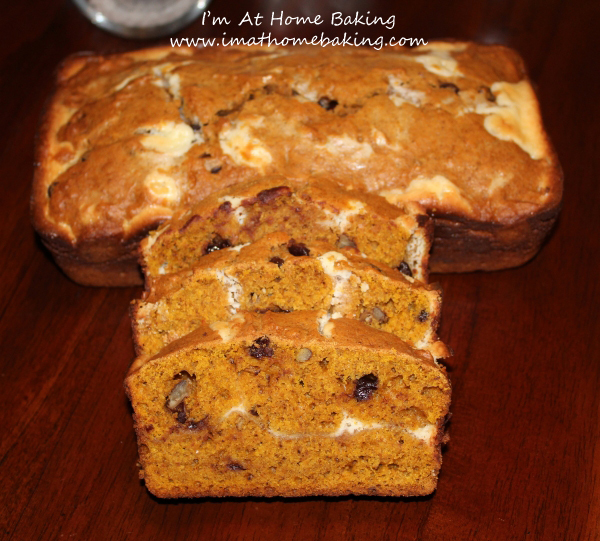 Ever since I was a little girl, we smeared cream cheese on our deliciously warm pumpkin bread. Not sure if that’s a New England thing or not. Having lived all over the place, some people look at me oddly when I mention cream cheese and others think it’s fantastic. I am always on the search for different variations of the things I love and I found this old recipe and decided to give it a chance. I wanted to love it. It has Maine in the title. I more than LOVE this recipe and I am pretty sure it will be one I make often. It is fragrant, it has depth. It is moist and will be for several days, if it lasts that long! It has an amazing little “crust” I like to call it, that forms just on the top… perfectly delicious and it is my favorite part of the bread. You may need to bake your bread longer than the recipe says, which is fine and normal. I suggest 10 minutes more at a time. Preheat oven to 350 degrees. Grease and flour two 9-inch loaf pans. In a large bowl, mix together pumpkin puree, eggs, oil, water and sugar until well blended. In a separate bowl, whisk together the flour, baking soda, salt, cinnamon, nutmeg, cloves and ginger and pumpkin pie spice. Stir the dry ingredients into the pumpkin mixture until just blended. Pour into the prepared pans. Bake for about 50 minutes in the preheated oven but could possibly take longer, add 10 minutes at a time. Loaves are done when toothpick inserted in center comes out clean. It’s now mid October, Fall is in full swing for many people and I am over here in Hawaii getting ready for maybe….just maybe a hurricane. If we are lucky it will fall apart and just be some rain. Oddly, Hawaii does not have a hurricane in 22 years…I move here and this is #2 that has formed since we moved here in mid July. I tell you, epic weather follows me wherever I move,lol!! If anyone is wondering the Island is practically sold out of bottled water…this happened last time too, then there was illegal price gouging and it was a circus. We ended up having to pay stupid high prices for some bottled water. Life goes on! Right now it is beautiful and sunny…Fall must have arrived here too as the temps have calmed down a few degrees, so while it is still hot it feels cooler, got to love those trade winds. 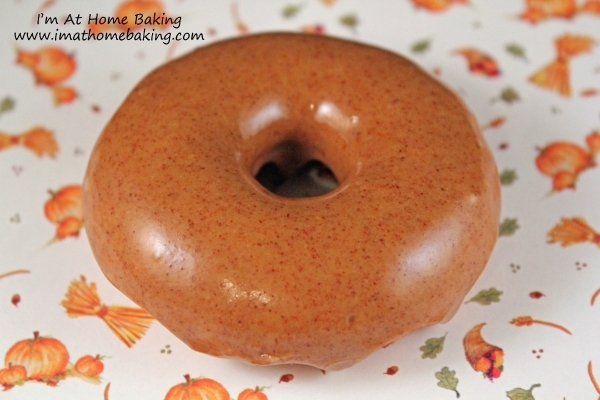 Are you doing any special Halloween baking this year? I am on the fence about this currently for this year, for personal reasons. We shall see what happens, maybe I will concoct a little spooky something! 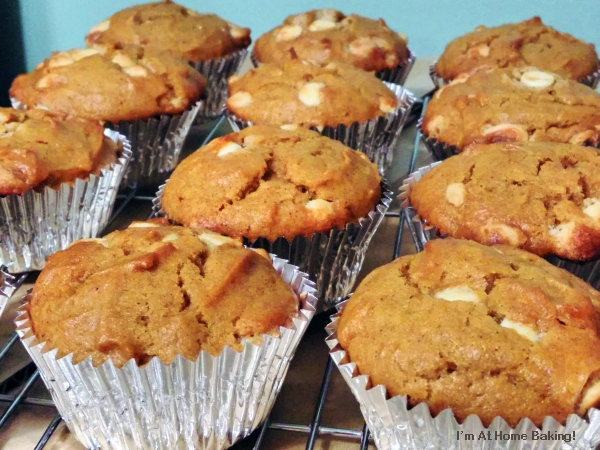 Tis the season for pumpkin and these delicious muffins will not disappoint. They have pumpkin and chocolate! Cinnamon & ginger help bring the smells and tastes of the season together to round out this most perfect treat. Yummy! Mix thoroughly: pumpkin, sugars, oil, honey, egg & extract. In another bowl, mix: flour, baking powder, salt and spices. Add the flour mixture to the bowl with the pumpkin one and mix well. Scoop batter into muffin tin, lined with paper baking cups. Bake for approx. 24-27 minutes, until toothpick pulls clean from center. Welcome Top Day 30 & The Final Day of Baking With Pumpkin! Happy Halloween!! I hope your Halloween is as awesome as mine was. It is now late Halloween evening. It’s quiet aside from some wind. All the kids I am sure are tucked in or bouncing off the walls…at least I only fed them the candy and sent them on their way,lol. My husband and I managed to make children scream, run & cry…Which means this Halloween was a great Success! It was a lot of fun for us. Then we finished our night as we do every Halloween night by watching “Halloween”. What’s better than candy while watching a movie? Ice cream of course! 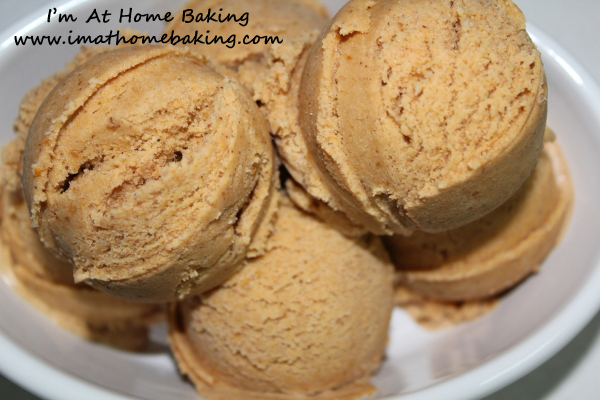 Not just any ice cream either but Pumpkin Pie ice cream. Need I say more? It’s so delicious. It really reminds me of a pumpkin pie, very creamy and flavorful. Perfect way to end out the month of Pumpkin. I hope you have enjoyed all the recipes I’ve shared. In a medium mixing bowl, use a hand mixer on low speed to combine the milk, brown sugar, and molasses until the sugar is dissolved, about 1 to 2 minutes. Stir in the pumpkin purée, cinnamon, ginger, and nutmeg. Add heavy cream and vanilla. Turn the machine on; pour the mixture into freezer bowl, and let mix until thickened, about 20 to 25 minutes. Add the crumbled cookies during the last 5 minutes of mixing. The ice cream will have a soft, creamy texture. If a firmer consistency is desired, transfer the ice cream to an airtight container and place in freezer for about 2 hours. Remove from freezer about 15 minutes before serving. 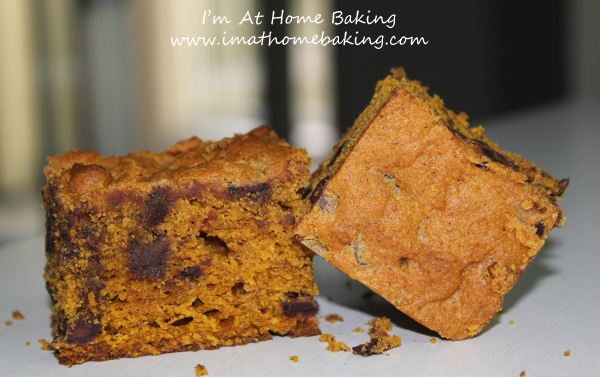 Welcome To Day 29 Of Baking With Pumpkin! Are you ready for Halloween? I pretty much am. I have bags of candy all ready to be poured into a bowl for all the trick-or-treaters! We will do a little “late” decorating of inside our home. I am looking forward to handing out candy. Today was kind of busy and exhausting. Any day I have a meeting to attend, it tires me,lol. The weather was pretty nice and as it has been, perfect for baking. 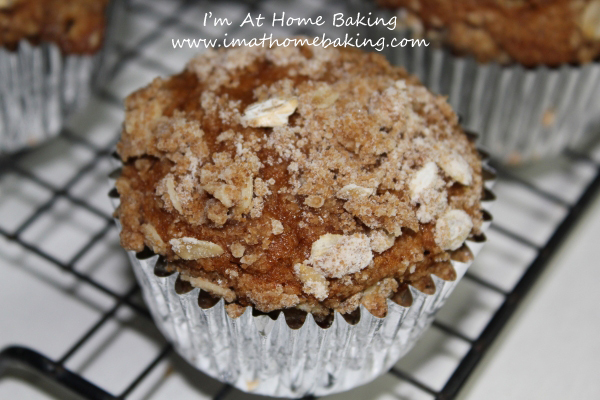 These muffins, best for any part of the day are great as a breakfast muffin as well. 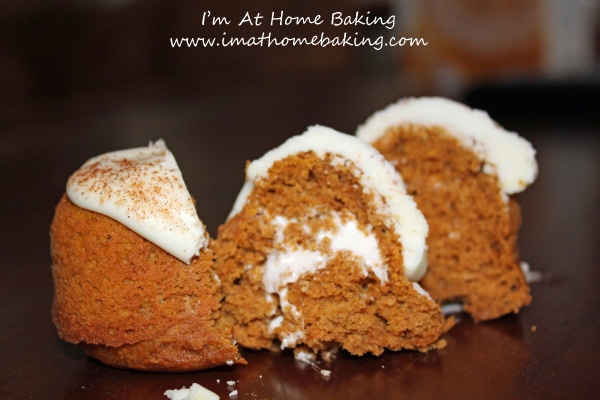 I love the scent of gingerbread and brown sugar, just enough sweetness and moist! A perfect muffin. Next time I think the only thing I’d do differently is make more of the streusel and put more on top of each muffin, good stuff! Tomorrow is the last day of baking with pumpkin!! However, I will still be baking with pumpkin as I have a bake sale coming up next week and some items I made over this month have been a real hit and so I will make them just for the sale. So do you have any plans for Halloween?? Combine flour, sugar and oats. Add remaining ingredients and combine until well mixed. Using a large ice cream scoop, scoop into prepared muffin pan. 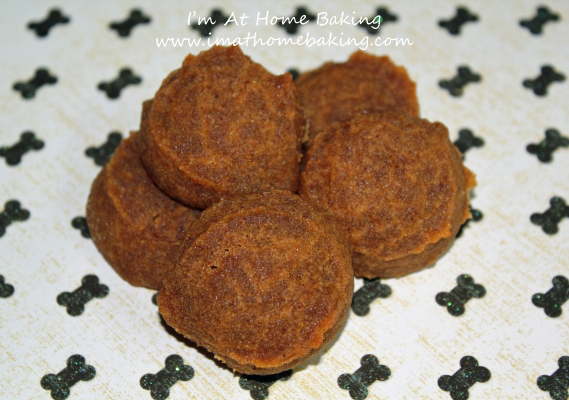 Welcome To Day 26 Of Baking With Pumpkin! Yesterday we had 2 huge earthquakes in a row, it was a bit after 2am. It woke me up, worried me a little but apparently not enough to get up because I fell right back asleep. Today has been a very productive day, I would almost say overly productive! Is there such a thing as being overly productive? Today I spent the whole day at home and baking! It was a very chilly fall day, another perfect baking day and I sure took advantage of it. Not only did the humans in the house get baked goodies but so did the furbabies! Everyone in the house was happy today. For years, my mother has been making a version of these “squares”. 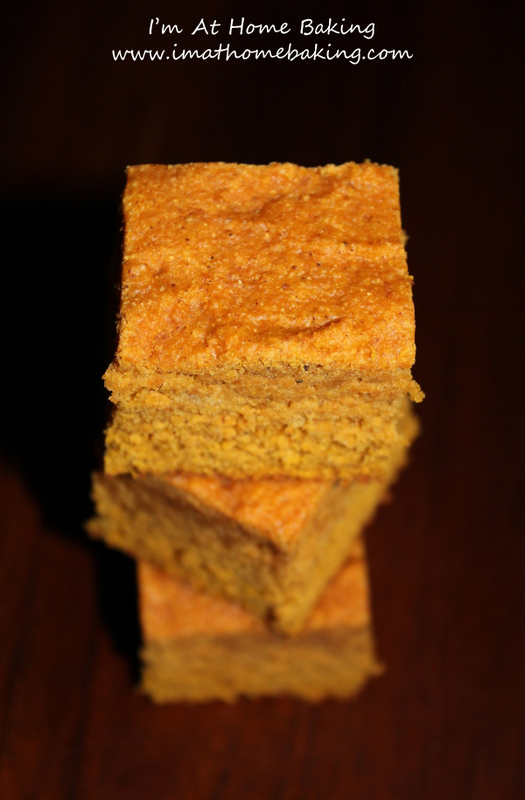 In fact they are called “Congo Squares” and I will have to make them soon and post the recipe for all of you. 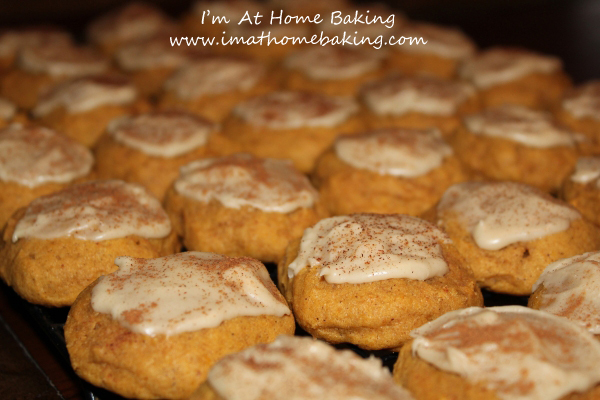 To me, the pumpkin makes this version more soft and a little more cookie-like. The color makes them so pretty too and of course chocolate chips taste wonderful in these. 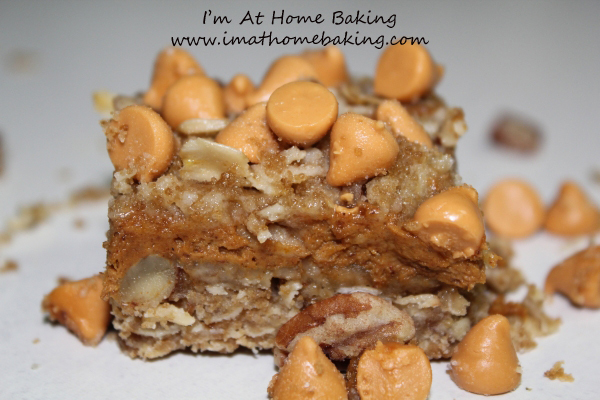 Very tasty snack and can be made in a 8×8 or 9×13 pan. Of course they will be much taller baked in a 8×8, just the way my husband likes them. With an electric mixer, cream butter and sugar on medium-high speed until smooth; beat in egg and vanilla until combined. Beat in pumpkin puree. Reduce speed to low, and mix in dry ingredients until just combined. Fold in chocolate chips. Spread batter evenly in prepared pan. Bake until edges begin to pull away from sides of pan and a toothpick inserted in center comes out with just a few moist crumbs attached, 35 to 40 minutes. Cool completely in pan.. 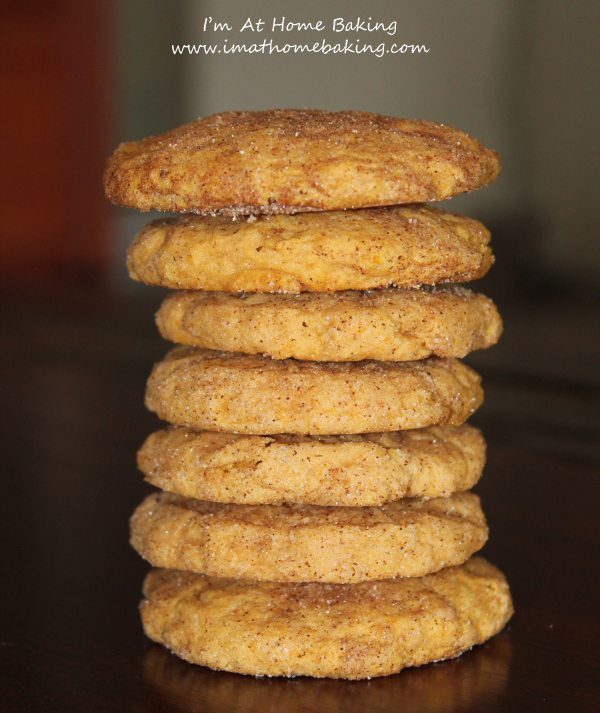 Welcome To Day 25 Of Baking With Pumpkin! So far it’s been a decent weekend…aside from some teeth pain I am having, which I hope is from sinus issues. I am going to give it a few days and see what happens. It’s been a day filled with cleaning and re-arranging here at my home! I hate to say it, but around this time every year we start planning the look of the house for Christmas. Yup, we move stuff around and decide where the Christmas tree will go and so forth. It’s all planned out now, everything moved and the house is clean! I have to tell you, this fudge was my very first attempt ever at making fudge of any kind and well, it’s amazing. Many people have eaten it and many people raved about how awesome it is. It sure made lot’s of people happy. It’s dangerous though, you could easily eat way too much of it,lol. I will be making this again and again and again! It really does taste like a delicious pumpkin pie. Line a 9x13-inch baking pan with foil or parchment paper, leaving some hanging over the sides for easy removal. Combine the granulated sugar, brown sugar, evaporated milk, pumpkin, butter and spice in a medium saucepan. Bring to a full rolling boil over medium heat, stirring constantly. Boil, stirring constantly, for 10 to 12 minutes. Quickly stir in the white chocolate chips, marshmallow crème, pecans and vanilla extract. Stir vigorously for 1 minute or until the chocolate chips are melted. Immediately pour into the prepared pan. Let stand on wire rack for 2 hours or until completely cooled. Refrigerate tightly covered overnight. Cut into 1 inch pieces. Welcome To Day 24 Of Baking With Pumpkin! Do you have any plans for Halloween? It is now approaching fast! The last few years we have just stayed home and passed out candy to Japanese kids and all the Americans on base. I think it’s fun. I am thinking we may do something different next year but maybe it will depend on where we are living too. We are having a haunted house at my husbands Command tonight. I have baked some Halloween treats for that and I am sure it will be a lot of fun. Pumpkin Pie anything is amazing. I could eat it all different ways and it’s great in a bar variation too. Butterscotch is a perfect pairing with pumpkin, coffee is too,lol. The recipe calls for using a 9×13 pan, mine somehow disappeared from my kitchen so I have just been using my 8×8 pan for any kind of bar or brownie I make, which is awesome and it results in a much thicker bar or brownie. In a bowl mix flour, ½ cup sugar, brown sugar; cut butter into mixture with a pastry blender until mixture resembles coarse crumbs. Stir in oats and pecans. 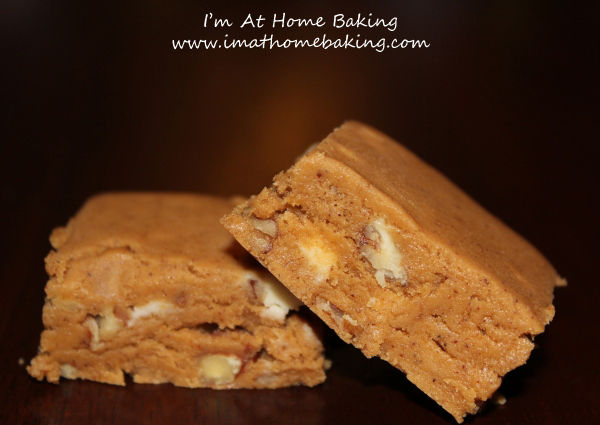 Remove ¾ cup of mixture and add in butterscotch chips. Set aside and reserve for topping. Press remaining mixture into bottom of parchment lined pan. Bake for 15 minutes. Combine cream cheese and pumpkin; add remaining sugar, cinnamon, ginger, all spice, cloves and vanilla and mix until well blended. Pour over crust and bake for 15 minutes. Sprinkle reserved oat crumb mixture and continue to bake for another 15 minutes. Cool in pan for 10 minutes and then transfer to a cooling rack. Let cool completely before storing. Cut into 2×2 squares and serve. Welcome To Day 23 Of Baking With Pumpkin! I want to apologize, this photo is pretty bad,haha! I never try to photograph my baked goodies in aluminum baking pans but it was called for today. This cake is sadly not for me alone but for the Command Halloween Party tomorrow! So please ignore the ugly tin and the fact that I can not cut into it to show you what it looks like inside. Have you ever had a “dump cake” before? I really dislike the name of it but it’s called as such for a good reason. You essentially dump ingredients all together and put it in your pan then dump more stuff, pretty much whatever you like then bake till set. I chose to use some Halloween morsels sprinkled all over the top..I just wish there had been some green in there too! I’ve had various dump cakes over the years and they are so simple to make and taste wonderful. Spray 9x13" baking pan with cooking spray. Combine pumpkin, milk, sugar, eggs and pumpkin spice. Stir to combine. 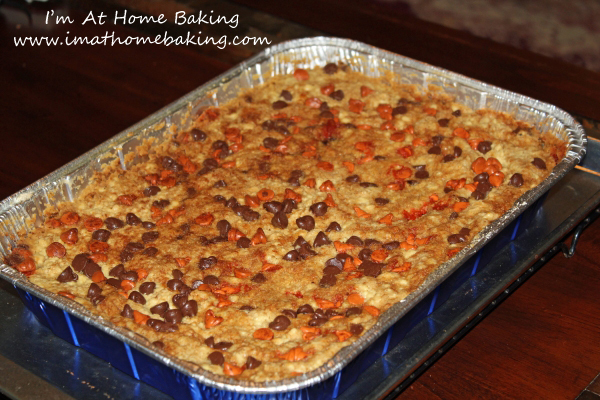 Pour into prepared pan, and sprinkle with cake mix, followed by the Halloween chocolate chip morsels. Pour melted butter evenly on top. Bake 45-50 minutes or until center is set and edges are browned. Welcome To Day 19 Of Baking With Pumpkin! It’s getting chillier and chillier around here. Today has been a day filled with rain. Cold rain. I have not minded it at all as it’s been perfect for baking. Thank goodness it did not rain on our apple picking adventure yesterday, that sure would have made things even more interesting! It was a slow moving day and it being a Sunday it was a day of grocery shopping and watching movies. I have some amazing recipes planned for this week! 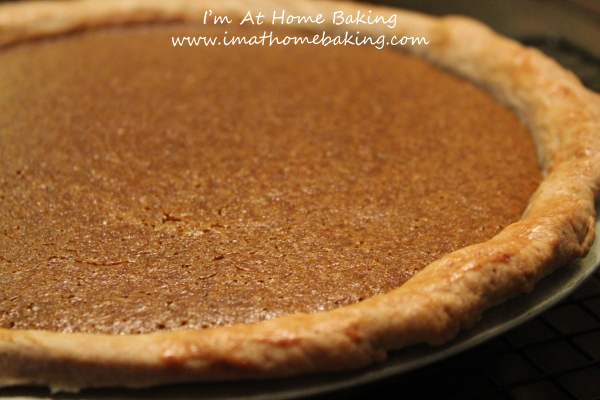 Pumpkin Pie…Do you have a specific recipe you use year after year? A family recipe? Or, are you like me and always wanting to try something a little different..knowing that if it possibly fails, there is always an old standby that works like magic all the time? I bought a new baking book today and had planned on making pumpkin pie and was thrilled to find the recipe in this book was much different than any other and something I’ve not tried before. It also had an awesome recipe for a spiced crust which got me excited too. I am very pleased with this pumpkin pie, very delicious and I see myself using it for all the “events” happening over the holidays this year, including the crust. Make one..or two or be like me and make three! Slowly add chopped butter till it makes a crumbly coarse meal. Add water and pulse till it forms a ball. Pat dough into a disk, wrap in plastic wrap and chill for at least 30 minutes. Combine eggs and sugars in a large bowl. Beat with mixer until fluffy. Beat in the pumpkin, spices and salt till blended. Stir in creamer and half-and-half till smooth. Set aside. Butter and flour an 11-inch pie pan (I used a 9-inch). Roll out the large disk of dough on a floured surface, aiming for ⅛ inch thick. Place in pie pan and decorate the edge. Brush crust with egg white. Bake for 10 minutes, then reduce the temperature to 325 and bake for another 45-50 minutes or until a knife or toothpick inserted in the center comes out clean. 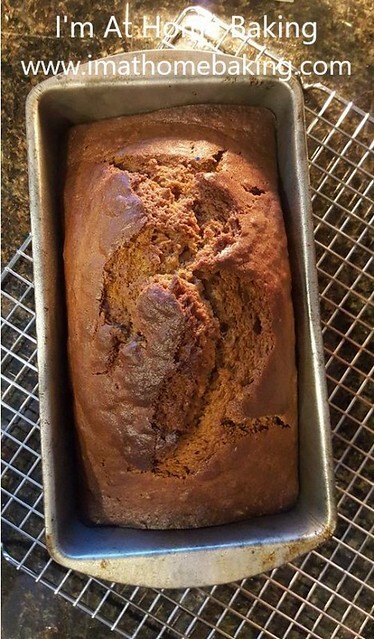 Welcome To Day 17 Of Baking With Pumpkin! Today was the chili cook-off at my husbands Command. There ended up being 5 entries. A Senior Chief ended up winning. It really was a huge success and everyone was happy. My pumpkin cornbread was a huge hit which made me happy. Tomorrow I go apple picking with my husbands Command, sadly my husband can not come with me. I am a little upset by it but it’s okay. I am not sure how many apples I will get, we shall see! Do you enjoy pound cake? 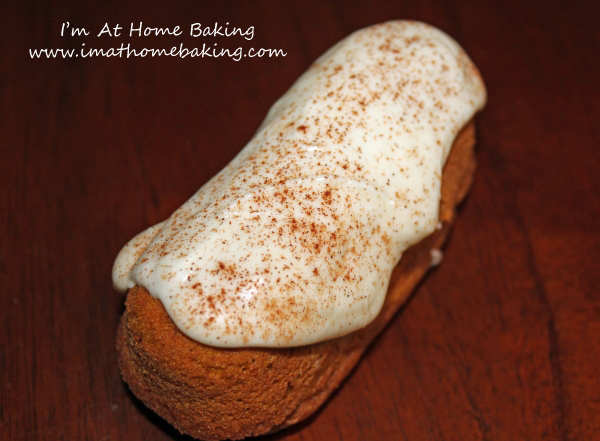 I am all for trying different things and I have never had a pumpkin pound cake before and so of course I have never tasted the Starbucks version, so with this recipe I can not compare them. Clearly, I enjoy anything pumpkin and love this too. It is moist and so delicious and tastes great with or without a glaze on top. It’s also great with a cup of coffee! This would also make a great “foodie” gift for a friend or family! I really wish I could share all my goodies with my family but for now all of my friends and my husbands Command get to enjoy it all , and that makes me happy! Preheat oven to 350º. Grease a loaf pan, set aside. Sift the flour, cinnamon, salt, baking soda, baking powder, cloves, and nutmeg, into a mixing bowl. Set aside. In a large mixing bowl, combine the sugar, yogurt, and egg whites. Whisk thoroughly until blended. Stir in the pumpkin. Add the dry ingredients to the pumpkin mixture. Stir until completely incorporated. Pour into pan and bake for 60 minutes, or until toothpick inserted comes out clean. Let cool on a wire rack. Makes 8 servings. Add a powdered sugar glaze or cream cheese frosting if desired. Welcome To Day 16 Of Baking With Pumpkin! I did say I was going to throw a few non-desserts into the mix. Today is one of those days. Tomorrow there is a chili cook-off that we, the FRG is having at my husbands Command. I believe we either have 4 or 5, all men, making their own versions of chili. I know already these men are amazing cooks, so I am curious to see how each of their chili comes out. My husband is one of them too! Me and my friend decided to make some cornbread for the occasion. She has made the regular stuff and of course since I am doing 30 days of pumpkin, I just had to try my hand at pumpkin cornbread. Once you try it, you may make it a regular part of your fall time dinners, to go with soups and chili’s! Simply delicious. It’s really tasty. It is something I can see myself making all through the fall. I am sure I will make it for Thanksgiving & Christmas. I also am not much of a fan of any cornbread but this may have changed me, just a little! Preheat oven to 375 degrees F. Grease an 8×8″ baking pan or line a 12-cup muffin pan with paper liners. In a medium bowl, mix the flour, baking powder, salt, cinnamon, nutmeg, brown sugar, and cornmeal (using a whisk to blend these ingredients works well); after blending ingredients well, set aside. In a large bowl, beat eggs, then stir in the pumpkin puree, plain yogurt, canola oil, molasses, and honey. Stir the wet ingredients into the dry ingredients just until combined. Pour batter into the greased 8×8″ baking pan, smoothing the top, OR spoon batter into 12 lined muffin cups (each cup should be about ⅔ full of batter). 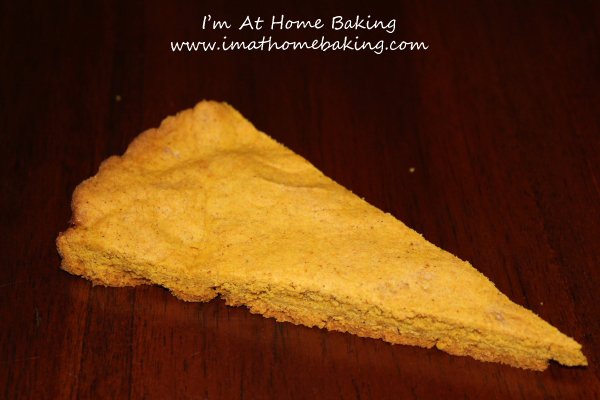 Bake the Cornbread (in 8×8″ pan) at 375 degrees for 22 to 25 minutes, or until toothpick inserted in center comes out clean or almost clean (be careful not to over-bake cornbread, or it will be too dry). Bake Cornbread Muffins at 375 degrees for 14 to 15 minutes, or until toothpick inserted in center comes out clean or almost clean (do not over-bake, or muffins will be too dry and may brown on the bottom).